Chestnuts, Glorious Chestnuts! | Help! I live with my Italian mother in law! 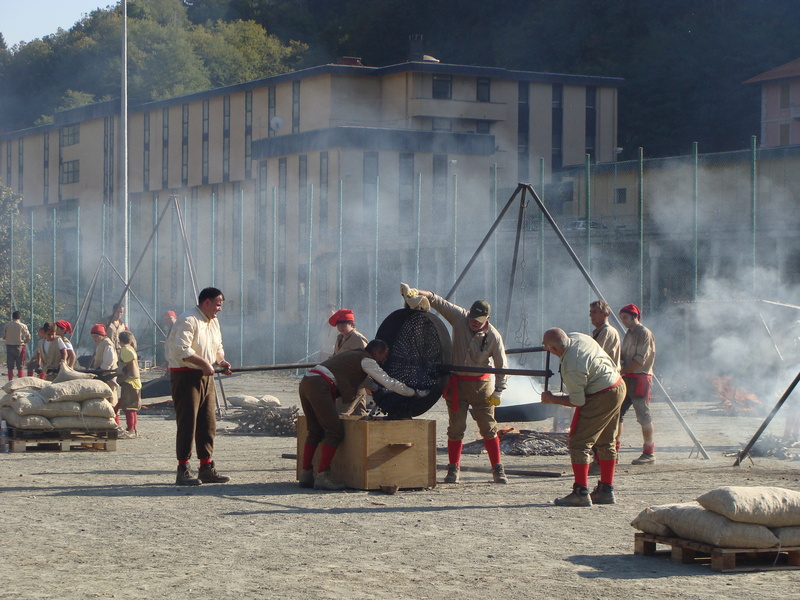 We didn’t mind, as I imagine living in Campo Ligure must get pretty dull from time to time. So, off we wandered. There were many kids running around and people selling local goods but the most interesting parts were outside. There were these crazy lumberjack types having some sort of race with a chainsaw and wood…yeah, I know sounds totally safe for kids entertainment! Giuseepe asked me if we did something similar in Canada and although I don’t recall any power tool competitions from my youth I do remember the puddle jumps in Muskoka. In Northern Ontario, Canada, we wait for the lake to freeze, then we cut a big hole in it and race our snowmobiles over the hole. Only some of the “skidoos” and drivers end up falling into the hole! Did I mention the lake is frozen, as in freakin’ ice cold water? Yeah, so turns out Italians are not the only ones doing crazy stunts for cheap entertainment! Anyways, back to the Chestnut Fair…these poor bastards were probably not expecting an extended summer in October and 30C temperatures! Alas, they sweat over their fire pits and roasted mass amounts of chestnuts for fair goers like me. Not to worry though because I smartly decided to forgo the chestnut sampling and took the train back to Genova. But the excitement continued on the journey home because for this special day there was an antique steam train operating! You could see the men above, with sweat on their brow, shoveling the black coal into the hungry train. As it approached it was like a giant monster swallowing the tracks. 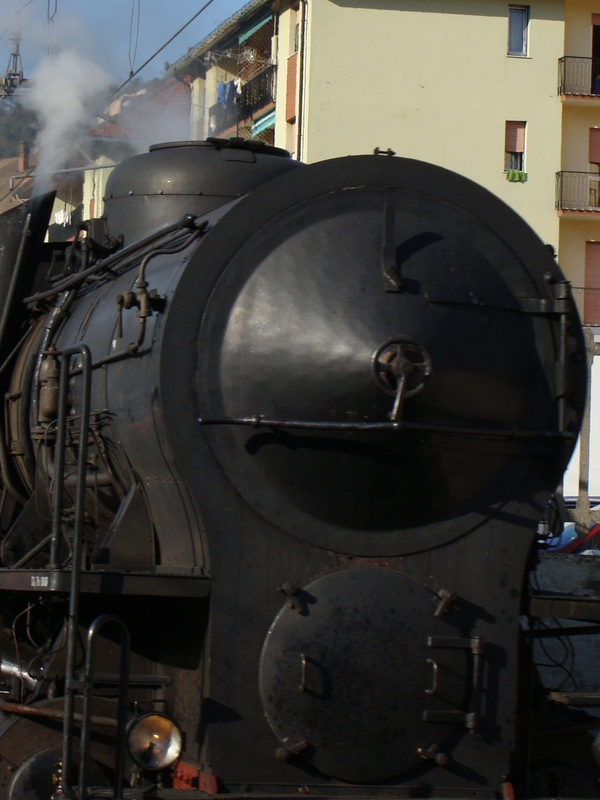 This was kind of exciting until we reached the many tunnels of Liguria and the conductor ran through the cars instructing us to close all the windows. It was 30C outside but the coal fumes were toxic when they blew back inside the train during tunnel passes. Yikes! 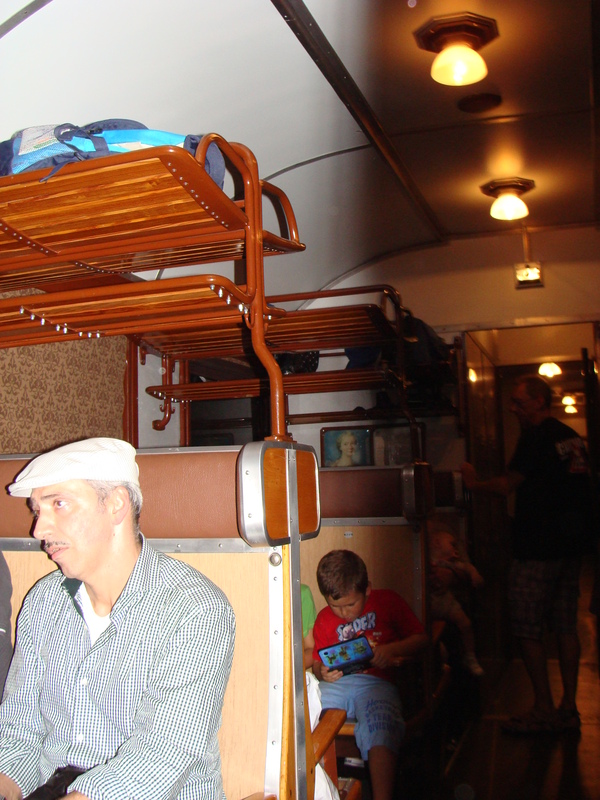 And what would have been a fifty minute train ride turned out to be two hours…on hard, unpadded, wooden seats. It was also quite noisy and the lights inside flickered off and on just like they do in old films. After such a long journey perhaps it would have been better to eat some of those roasted chestnuts and fly home, hehehe. 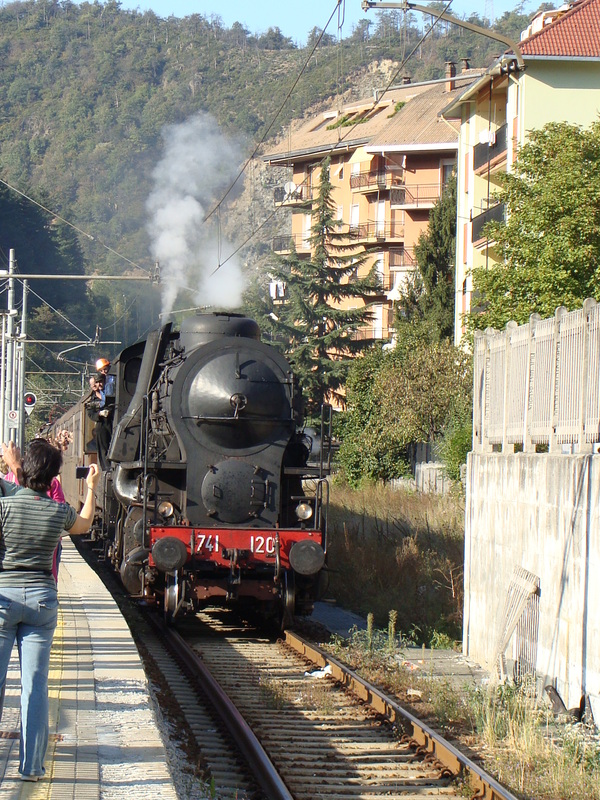 This entry was posted in Food, Italian Culture, Nature, Tourists, travel and tagged Ligure, Roasted Chestnuts, Rossiglione, Steam train. Bookmark the permalink. 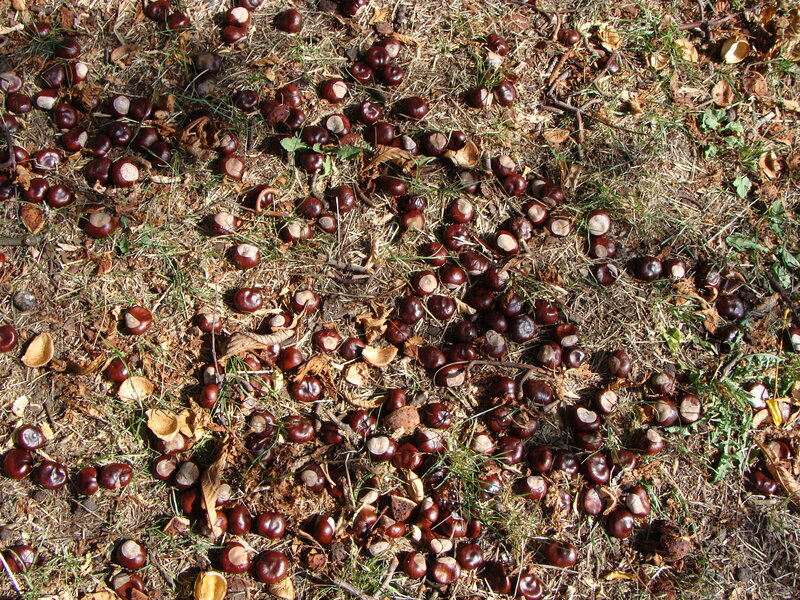 3 Responses to Chestnuts, Glorious Chestnuts! Exploring Liguria 🙂 Really nice Leah, hugs!